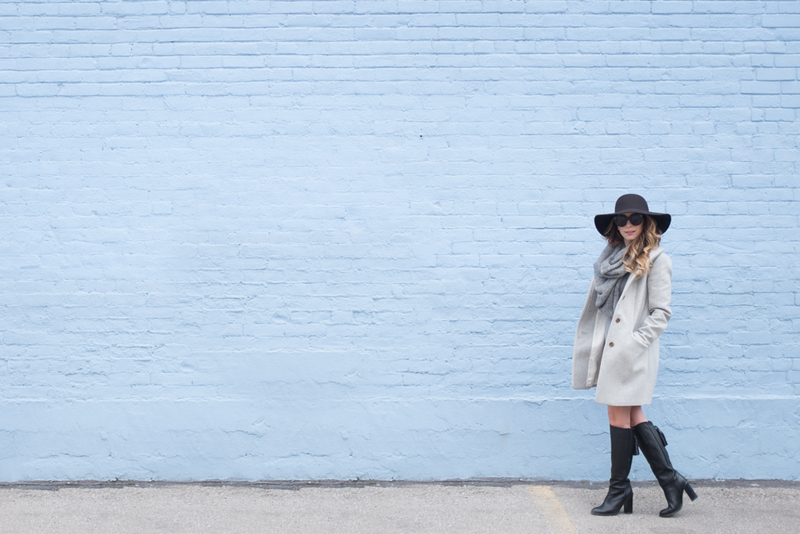 OOTD - Aritzia Grey Cocoon Wool Coat | La Petite Noob | A Toronto-Based Fashion and Lifestyle Blog. 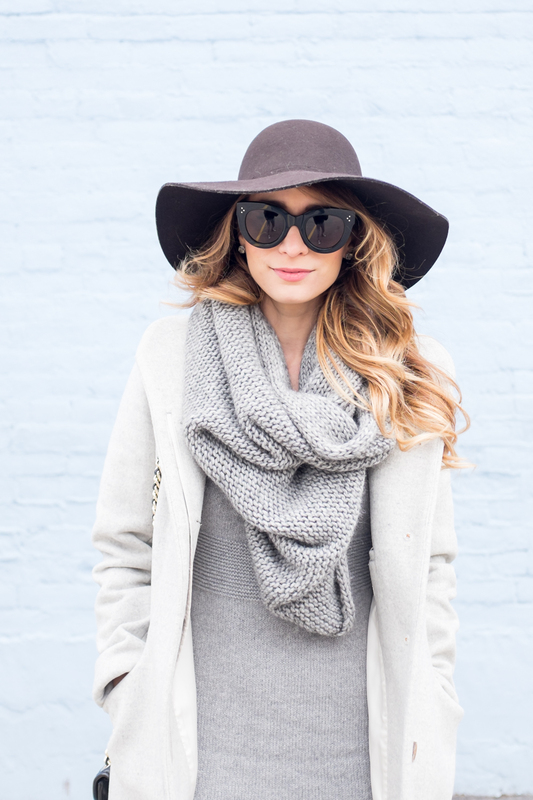 Love the shade of this coat-- it's so refreshing! I totally gravitate towards black coats in the wintertime. Thanks for the inspo, beauty! I totally love this coat on you, I've been looking for one in the exact same colour but in more of a robe style. You look fabulous! Thanks Siffat! They have some beautiful robe-style coats at Aritzia - and I LOVE the Sentaler coats, of course! By the way, you may have to keep that sweater dress that's on loan! I love your Hudson Bay blanket coat so much - especially with the red Hunter Boots! Gorgeous coat! 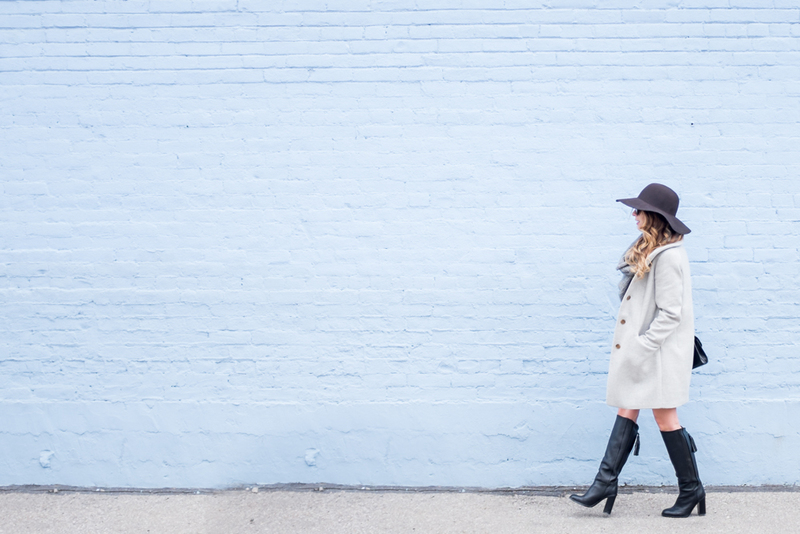 I like to stand out from the sea of all black coats in winter and I regularly wear a retro-inspired turquoise coat. Oh this is all just so lovely... I had to PIN it. LOVE LOVE LOVE! So glad that you like it Filipa! You let me confused with these boots and coat. What are your measurements/ what size did you get in the coat?? Hi there! I am 5'2 and 105-110 pounds and I got a size XS. Hope that helps!